Two of F1’s most prominent teams went head to head today in Melbourne, at competing press conferences aimed at promoting their respective sponsors’ capacity for moving massive data loads from car to trackside, back to HQ in the UK, and back to Melbourne's Albert Park circuit. 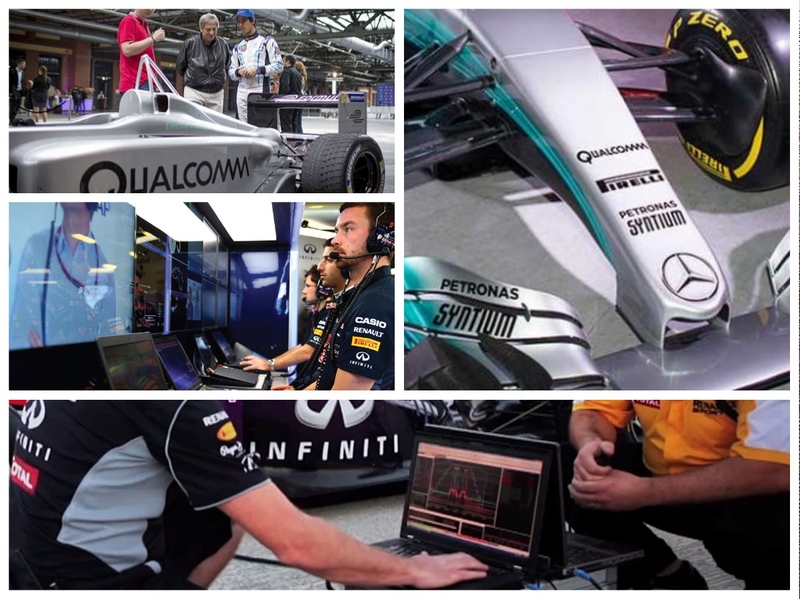 Mercedes-Petronas trotted out its team from Qualcomm to show off a massive step forward in data transfer and diagnostics, while AT&T showcased Red Bull's technology. The Snapdragon 820am is Qualcomm’s venture into a drive data platform that will be used to provide high-level telemetry. For now, it is exclusively Mercedes F1 team’s secret weapon to rapidly move up to 7 gigabytes of data per second of tire data telemetry gathered from thermal cameras over Wi-Fi AD (60GHz band) from the race car to the monitoring software – allowing instant changes to the car’s systems. The Red Bull race team transfers up to 400GB of data across the AT&T network every Grand Prix. Much of the data feeding into Red Bull’s trackside garage will be relayed in near real-time, before, after and during the race, from AT&T’s Operations Room in the UK, over the AT&T global VPN in around 300 milliseconds between the Australian Grand Prix and headquarters. The data is fed back to the UK operations centre in virtual real-time, using 100 sensors fitted to the Red Bull cars. Even smaller teams now rely more heavily on data flow and management tools. 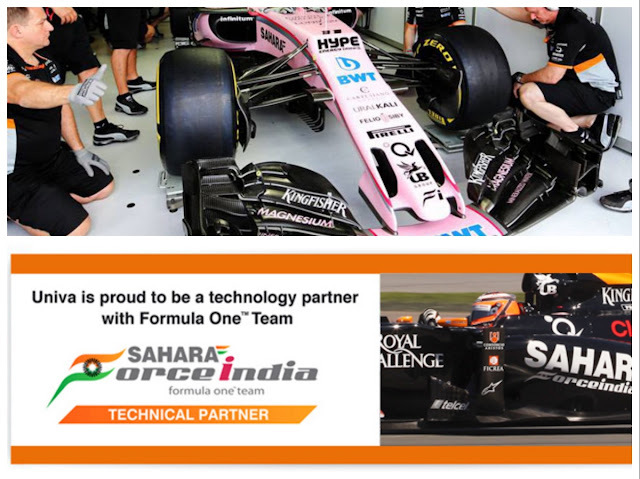 Force India manages this with partnerships with Tata Technology and Univa. One of the key tools used by Sahara Force India is ‘Univa® Grid Engine®’, which is the most widely used resource management platform by industry across the globe. This technology allows Force India to run large quantities of mission-critical, compute-intensive applications faster, more efficiently, and with lower overall costs. It has played a pivotal role in developing the team’s Computational Fluid Dynamics (CFD) capabilities allowing the team to evaluate aero concepts more efficiently. So, does any of this hi-tech stuff have any relevance to real world motoring? Yes, companies like Qualcomm and AT&T are making big investments in autonomous vehicle technology, and while that's not going to happen anytime soon, the big data battle will bring a rapid change in automotive systems.